It’s that time of year again and everyone likes list posts, right? Well, to be honest they are easy to write and easy to read. But this list is special. All of these items are items I own and use, and would make great gifts for the frequent flyer or even the infrequent traveller in your life. Now all of these items are material, but if you’re really looking to treat the traveller you know, why not get yourself on somewhere like Jettly? With Jettly, you can book flights on private jets as easily as you could book an Uber or order a pizza, and you may find that a private jet flight could be a great gift for someone that loves flying. I thought I’d keep this list consisting of solely material items though. Plus, I won’t make you open a separate page for each item. If you are a frequent flyer, remember to check the necessary vaccines for your destination; you can do so at PharmaVaccs. If you know someone who is thinking about going on holiday then hopefully these items will be a great present for them. It doesn’t even matter what sort of holiday they are going on. For example, they might be going on holiday to just be a tourist, or they might have decided to spend a year abroad being an au pair to help them learn a new language whilst exploring a new place. If this is something that interests you then why not take a look at something like this Cultural Care Au Pair to give you a better idea of how you can apply and what you can expect to happen. Sometimes you have to take night flights and you’re in the bulkhead and the galley light is in your eyes all night. Sometimes the dude next to you has his iPad on bright and is watching “Keeping Up with the Kardashians” (true story). Or sometimes you have to take day flights and it’s your only opportunity to sleep before your next meeting. 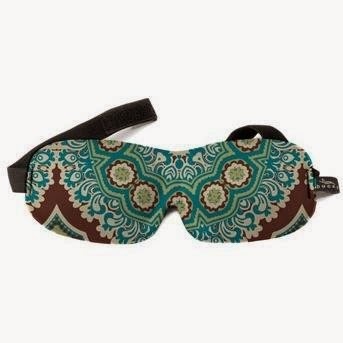 Whatever it is, this Bucky (btw, a Seattle company) eye mask has been a lifesaver to me. I love this mask because it weighs nothing, folds in my bag, is machine washable, and is contoured enough so it doesn’t mess up my eyelashes or makeup. It also has a stretchy adjustable Velcro strap and comes in a ton of colors. Plus it retails for about $12. You might look at this and think – why. But have you been in a hotel room in Philadelphia in the middle of a January snowstorm? It’s cold and it’s dry. Your traveler’s skin will thank you for keeping a little bit of that moisture. 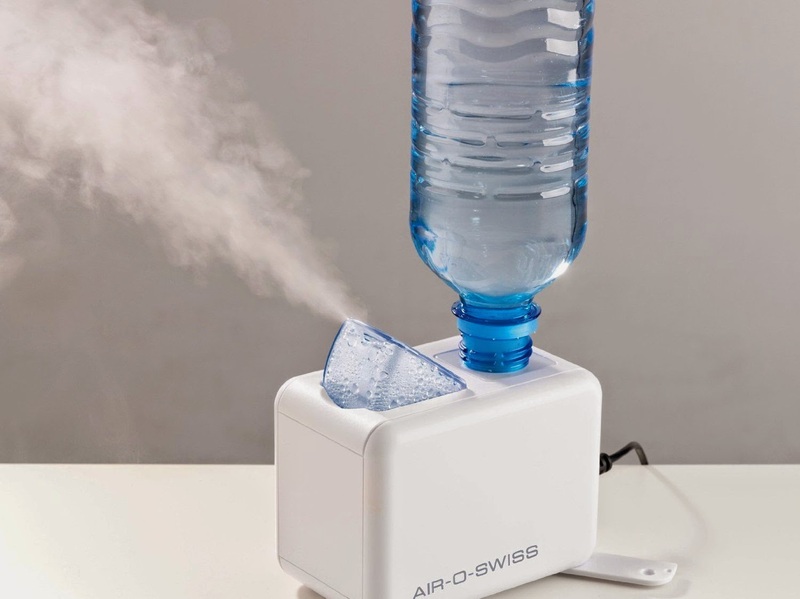 This humidifier uses a typical 20 ounce water bottle, is very easy to clean and even comes with a carrying case. It works well when you put it near your bed. It retails for around $40. I’m still surprised when I go to a hotel and they have a whole two outlets for my devices. I travel with two-three phones, a Surface, my laptop, my MiFi, extra chargers, FitBit, Microsoft Band and who knows what else. I need outlets. With the three three prongs and two USBs, this Belkin has saved me so many times. Bonus: You can be the rockstar at that small airport that doesn’t have power at the gate. Yes, I know every hotel has laundry service (or at least a laundry room). But what happens if you’re on day 14, in your fifth city, you landed at 11:00 p.m., you have an event at 7:00 a.m. and somehow you’ve burned through all of your clean socks because you probably didn’t pack correctly, since your last trip home only lasted for 22 hours, and you spent most of it at a boozy brunch with your friends? 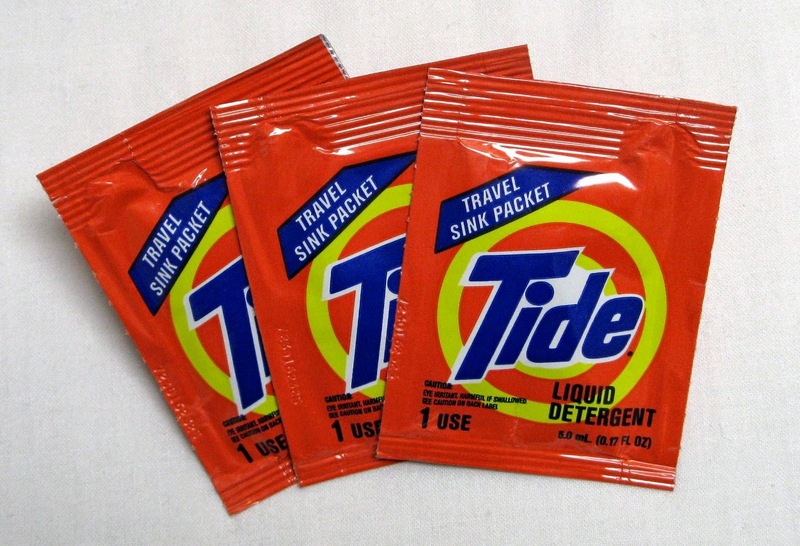 These Tide Sink Packs are amazing. I’ve used them for underwear, socks, a mustard stain on a dress, and they’ve done me wonders. Also, they are cheap, just $3.75 for a 2 pack of 3. OK, fellow flyers are sometimes disgusting. They cough in their hands and touch everything, they spill stuff, their kids snot on the arm rest, and who knows how many times I’ve opened my tray table to find gunk and grossness on it. So, now, I fly with these wipes. I wipe off my tray table, my arm rest, the wall next to me, whatever. But I always do this before the flight with the fans on high, because, well, not everyone likes smells. Also, the person next to me always looks at me awkwardly, but then I offer to wipe their tray and they always say yes. 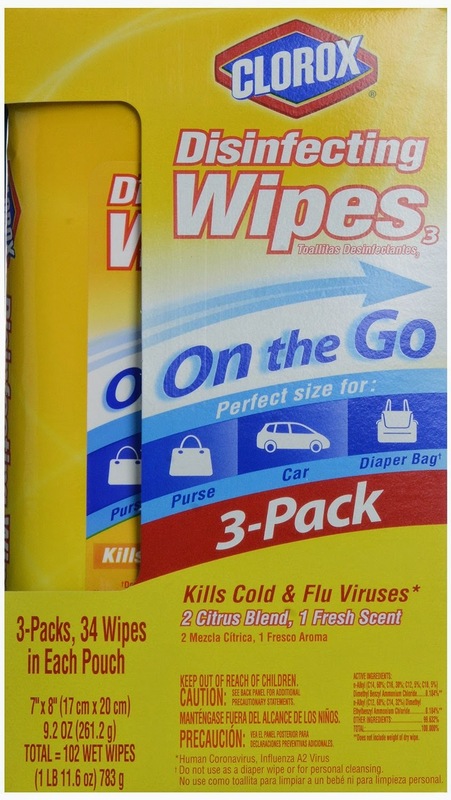 A three pack is under $12 and could save you or your traveler friend from many nasty colds and viruses. Also, always remember to clean your hotel remote! I love my toothbrush. In fact, I love it so much that I tweet my love to Philips at 1:00 a.m., apparently. I could go on and on about my perfect dental check ups, but you might ask what does this have to do with travel? >Well, this toothbrush comes with a travel case that is also a charger, however you might not need it often because I can get about 20 days from one charge. It’s a little pricey at $189, but can you put a price on dental health? 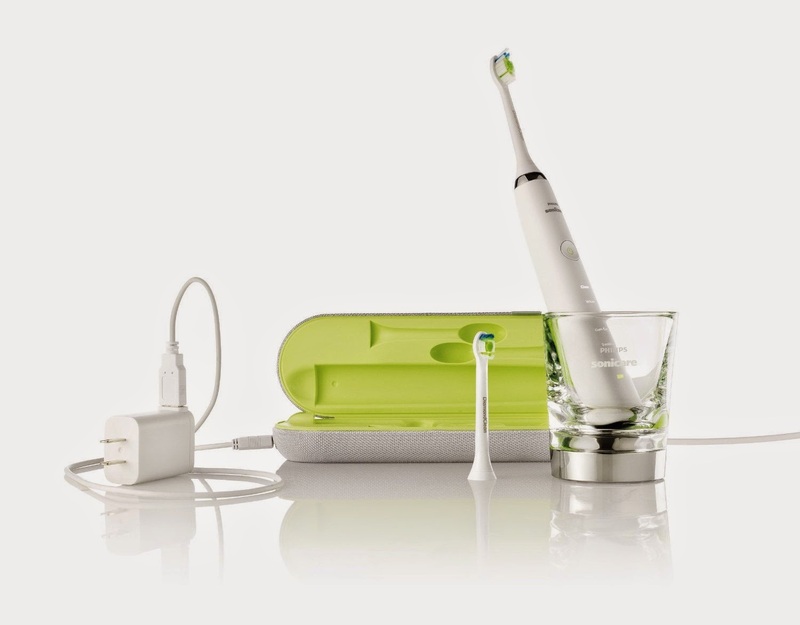 Bonus: Philips has awesome customer service and replaced my toothbrush when it stopped working, no questions asked. I travel with a lot of stuff. Hair stuff, nail stuff, face stuff. I don’t know how many different cosmetic items I use on a daily basis, but it’s a lot. I have both of these bags, and love them. 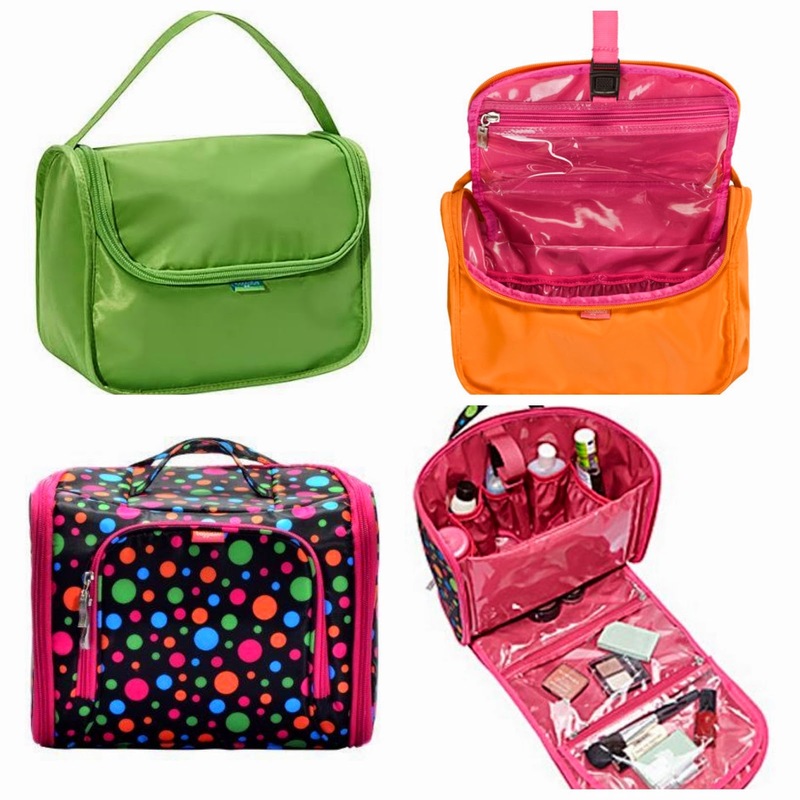 I use the Full Cosmetic Kit ($37) on long trips and for shorter, carry on only trips, I use the Grooming Bag ($25). The best part about these bags (besides all the space and the organization) is they are wipe off and easy to clean. I had a whole bottle of hair mousse explode and the cleanup was a breeze. Some people might not like the full kit, as it does take up a lot of room in your suitcase, but I’ll forgo a few tops and a pair of jeans for all of my cosmetics. OK, full disclosure here, my company works with V-MODA and I received these as a sample. However, they are amazing headphones. I switched from my lime green Beats for this pair. 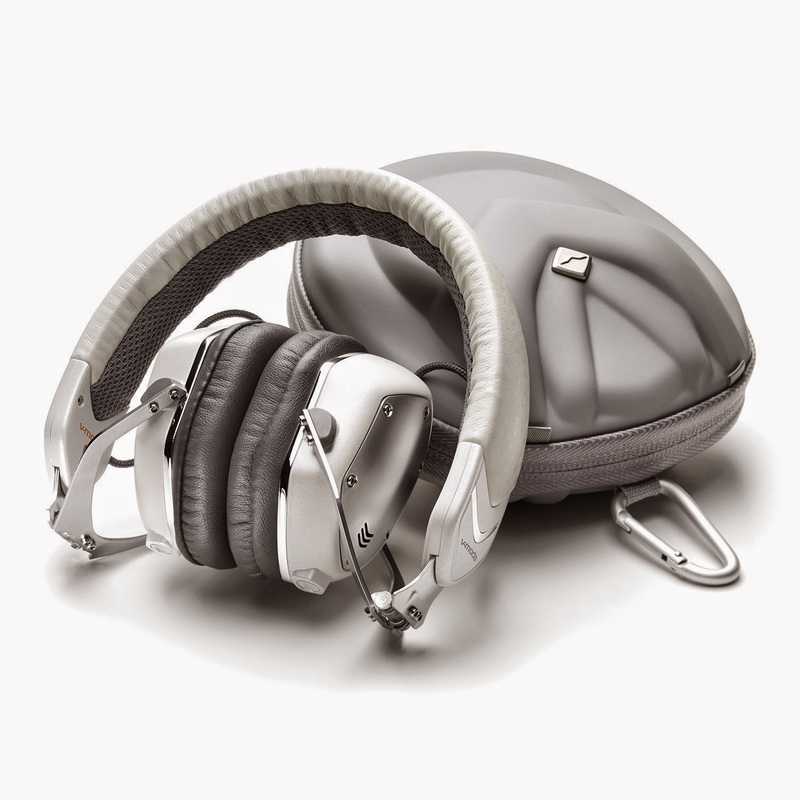 The sound quality is perfect, they are comfortable, fold up to take up little space, and come with a solid hard case. Also, mine are customized with Honolulu Blue plates (go Lions!). These headphones range from about $175-200, but are totally worth it because you (or your traveling friend) will use them all the time. Bonus: these headphone come with a microphone, perfect for Skyping, gaming or talking to coworkers over Lync. Sometimes I only get a few hours of sleep before setting up late into the night and opening the next morning. What helps me get up at 5:45 a.m. for a 7:15 a.m. call time? (Well, let’s be real, I snooze until 6:05 a.m.) Music! I like to jam really bad pop music (here’s my playlist, you’re welcome) and dance around my hotel room while drying my hair and waiting for room service. The Mini Jambox is super small (like 3 inches x 6 inches x 1 inch-ish) and still puts out some sound. If you have two, you can connect them via the Jawbone app for more sound. It connects via Bluetooth and the battery lasts about 10 hours. It’s surprising the sound that comes from the little speaker. At $99-ish, it comes in a lot of colors and designs, too. 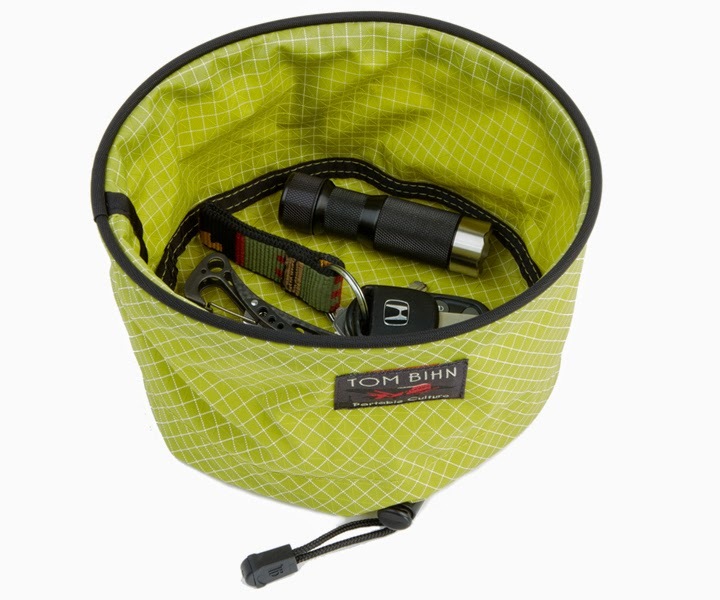 Tom Bihn is this awesome Seattle company that makes bags and travel gear (and some other cool stuff). They have some great product demos where they do things like throw their bags off the tops of buildings, run them over with a truck, and just attempt to destroy their products to show you how durable they really are. A coworker of mine gave the Travel Tray to me last Christmas, and it’s probably one of my fav travel accessories. When I’m not in my hotel room, I use it as a cord carrier. When I’m in my hotel room, I use it as a catch all for things I don’t want to lose (earrings, my watch, my FitBit, etc.). The material is solid and waterproof and it’s just a really well designed accessory (at $25). I do suggest checking out some of the Tom Bihn bags on their website (I drool over the Aeronaut 45 in Navy.. one day, one day…). They are pricey, but will last you forever. So, I could keep going (I travel with a lot of great products) but 10 might be good enough for now. A quick disclosure, some of my links above link to my Amazon Affiliate URL. You click it, and buy it, I make a small percentage of the sale and it makes me happy. If you have a great travel product that I need to know about, please let me know!! Even better, leave a comment so my mom will see it because she needs gift ideas for me.